Late Friday, Kansas lawmakers passed a school funding bill they say will satisfy the state Supreme Court. Kansas lawmakers have approved a school funding plan that they say will end the risk of a legal fight closing Kansas schools. The bill is in response to a Supreme Court ruling that says the funding system was unfair to poorer school districts. Democratic Sen. Anthony Hensley joined a large bipartisan majority Friday night that supported the bill. “Regardless of who came up with the plan, what matters is that what we did today was put the children of Kansas first. This is a responsible plan that solves the problem,” said Hensley. An original proposal cut general school aid and used that money to reduce property tax disparities. A group of lawmakers, including Republican Rep. Melissa Rooker, pushed Republican leaders to eliminate the cut to schools. “The main thing is we protected the classroom, which was the key. The sources of funding are never easy, which ever direction we’re going at this point. I do like that fact that we’ve found a compromise,” said Rooker. Instead of cutting school aid, the bill that passed will collect money from the sale of the Kansas Bioscience Authority as well as other places in the budget. Gov. Sam Brownback says he will sign the bill. 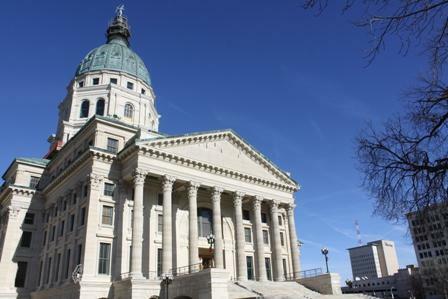 A school funding plan has been making fast progress in the Kansas Legislature, passing out of both House and Senate committees Thursday. The proposal will cut the general state aid all school districts receive by .5 percent, then redistribute that money to assist poorer school districts. It also takes funding from several other places for a total of $38 million. Republican Sen. Ty Masterson believes the bill can win legislative and judicial approval and prevent schools from shutting down. 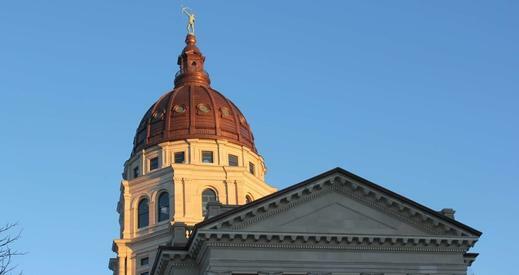 The Kansas Senate has narrowly defeated a constitutional amendment that would have prevented courts from closing public schools in the future. Lawmakers are currently in a legal dispute with the Kansas Supreme Court over education funding that could result in schools closing July 1. The proposal was designed to prevent courts as well as lawmakers from shuttering schools. Republican Sen. Jeff King said he pushed the amendment so that Kansas voters could consider the idea on the November ballot.